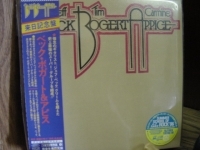 Japanese Mini Sleeve CD - items 150 to 175 Shop MyMusicFix!! 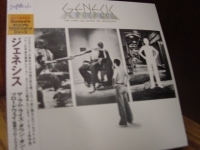 "Genesis, The Lamb Lies Down On Broadway (gatefold cover)"
Japanese Mini Sleeve CD. Tracks Include: "The Lamb Lies Down on Broadway" "Fly On A Windshield" "Broadway Melody of 1974" "Cuckoo Cocoon" "In The Cage" "The Grand Parade of Lifeless Packaging" "Back in N.Y.C." "Hairless Heart" "Sounting Out Time" "The Carpet Crawlers" "The Chamber of 32 Doors" "Lilywhite Lilith" "The Waiting Room" "Anyway" "The Supernatural Anesthetist" "The Lamia" "Silent Sorrow in Empty Boats" "The Colony of Slipper Men" "The Arrival" "The Visit to The Doctor" "The Ravine" "The Light Dies Down On Broadway" "Riding The Scree" "In The Rapids" "It"
"Gerry Rafferty and Humblebums, Can I Have My Money Back - Box Set of 4 Mini CDs"
GERRY RAFFERTY AND HUMBLEBUMS - CAN I HAVE MY MONEY BACK - Japanese OBI MINI REPLICA LP TITLES making a 4 CD Box Set- Japanese OBI MINI REPLICA BOX SET Japanese re-mastered Mini LP replica Limited Edition Collection Recorded from the finest Original Masters available. Each title Comes with anti-static sleeves similar to Vinyl LPs, Cardboard packaging exact to the original LP, Re-sealable plastic wrap cases for protection of each collectible and include extensive Liner Notes Booklet. Actual miniaturized version of the 12" LP in 4" CD version Special VERY RARE LIMITED EDITION BOX SET ONLY PRODUCED ON FUTURES FOR THIS ONE TIME PRESSING -- were only available in Japan. 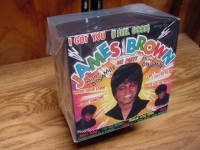 THE BOX SET - INCLUDES HUMBLEBUMS - OPEN UP THE DOOR - Track Listings 1. My Apartment 2. I Can't Stop Now 3. Open Up The Door 4. Mary Of The Mountains 5. All The Best People Do It 6. Steamboat Row 7. Mother 8. Shoeshine Boy 9. Cruisin' 10. Keep It To Yourself 11. Oh No 12. Song For Simon 13. Harry 14. My Singing Bird 15. Half A Mile (Church Version) (Bonus Track) 16. Half A Mile (Backing Track) (Bonus Track) 17. Continental Song (Bonus Track) 18. Continental Song (Backing Track) (Bonus Track) 19. Time (Bonus Track) 20. 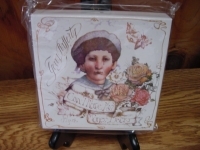 Mother (Live) (Bonus Track) HUMBLEBUMS - THE FIRST COLLECTION OF MERRY MEDODIES Track Listings 1. Why Don't They Come Back To Dunoon 2. My Dixie Darling 3. Now I Feel So Old 4. Give Me A Little Of Your Time 5. Salt Coats At The Fair 6. Victory Rag 7. Will You Follow Me 8. Little Blue Lady 9. Travel Away 10. Come Drink My Wine 11. Cripple Creek 12. Close Your Eyes 13. Windy & Warm THE NEW HUMBLEBUMS - Track Listings 1. Look Over The Hill & Far Away 2. Saturday Round About Sunday 3. Patrick 4. Everybody Knows That 5. Rick Rack 6. Her Father Didn't Like Me Anyway 7. Please Sing A Song For Us 8. Joe Dempsey 9. Blood & Glory 10. Coconut Tree 11. Silk Pyjamas 12. Good-Bye-Ee 13. 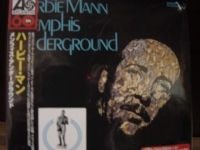 Saturday Round About Sunday (Single Version) (Bonus Track) 14. Bed Of Mossy Green (Bonus Track) 15. Everybody Knows That (Live) (Bonus Track) 16. Rick Rack (Live) (Bonus Track) 17. Please Sing A Song For Us (Live) (Bonus Track) CAN I GET MY MONEY BACK - Japanese Digitally Remastered Limited Edition Issue of the Album Classic in a Deluxe, Miniaturized LP Sleeve Replica of the Original Vinyl Album Artwork of Rafferty's 1971 Solo Debut Album. Includes the Bonus Track "so Bad Thinking". Track Listings 1. New Street Blues 2. Didn't I 3. Mr Universe 4. Mary Skeffington 5. The Long Way Round 6. Can I Have My Money Back 7. Sign On The Dotted Line 8. Make You Break You 9. To Each And Every One 10. One Drink Down 11. Don't Count Me Out 12. Half A Chance 13. Where I Belong 14. So Bad Thinking These are Japanese digitally re-mastered Mini LP replica CDs (the OBI Edition). This Limited Edition Collection has only VERY FEW made world-wide and are immediately Out of Print. Recorded from the finest Original Masters available. Comes with anti-static sleeves similar to Vinyl LPs, Cardboard packaging like an LP, includes extensive Liner Notes Booklet. Actual miniaturized version of the 12inch LP in 4inch CD version. 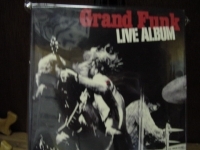 "Grand Fun, Live Album - OBI Box Set 6 CD Set"
GRAND FUNK - LIVE ALBUM - Japanese OBI MINI REPLICA LP TITLES making a 6 CD Box Set- Japanese OBI MINI REPLICA BOX SET Japanese re-mastered Mini LP replica Limited Edition Collection Recorded from the finest Original Masters available. Each title Comes with anti-static sleeves similar to Vinyl LPs, Cardboard packaging exact to the original LP, Re-sealable plastic wrap cases for protection of each collectible and include extensive Liner Notes Booklet. Actual miniaturized version of the 12" LP in 4" CD version Special VERY RARE LIMITED EDITION BOX SET ONLY PRODUCED ON FUTURES FOR THIS ONE TIME PRESSING -- were only available in Japan. 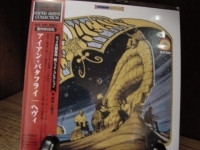 CD'S INCLUDED IN THIS BOX SET ARE - ON TIME GRAND FUNK - SELF TITLED WITH GATEFOLD COVER CLOSER TO HOME - WITH GATEFOLD COVER LIVE ALBUM - WITH GATEFOLD COVER SURVIVAL E PLURIBUS FUNK These are Japanese digitally re-mastered Mini LP replica CDs (the OBI Edition). 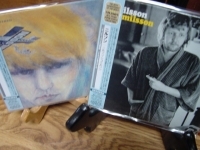 "Hall & Oates, Big Bam Boom - OBI Mini Replica LP in a CD"
"Hall & Oates, H20 - OBI Mini Replica LP in a CD"
"Hall & Oates, X-Static - OBI Mini Replica LP in a CD"
"Harry Nilsson - Schmilsson & Aerial Ballet - OBI Replica LP in a 2CD Set"
"Herbie Mann, Memphis Underground - Mini LP Replica In A CD - Japanese"
"Idle, Race - OBI 3 CD Box Set"
IDLE RACE - Japanese OBI MINI REPLICA LP TITLES making a 3 CD Box Set - the Band that was the Immediate Precursor of the Move and Eventually Electric Light Orchestra. The Self-titled "Idle Race" was the Group's Second Album and First Appeared in 1969 on the Liberty Records Label and "Time Is" was Released in 1971 on the Regal/Zonophone Label, Both Associated with EMI. "Idle Race" was Produced by the Band's Most Famous Ex-member, Jeff Lynne, but He Left the Group Shortly after the It's Release for the Move. 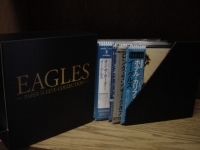 Japanese OBI MINI REPLICA BOX SET Japanese re-mastered Mini LP replica Limited Edition Collection Recorded from the finest Original Masters available. Each title Comes with anti-static sleeves similar to Vinyl LPs, Cardboard packaging exact to the original LP, Re-sealable plastic wrap cases for protection of each collectible and includes extensive Liner Notes Booklet. Actual miniaturized version of the 12" LP in 4" CD version Special VERY RARE LIMITED EDITION BOX SET ONLY PRODUCED ON FUTURES FOR THIS ONE TIME PRESSING -- were only available in Japan. REPLICA LP IN A CD BOX SET INCLUDES - Comments: Limited Japanese box set contains paper sleever versions of "Idle Race", "Birthday Party", and the Wizzard "Wizzard's Brew" albums. Tracks: 01. COME WITH ME 02. SEA OF DREAMS 03. GOING HOME 04. REMINDS ME OF YOU 05. MR. CROW AND SIR NORMAN 06. PLEASE NO MORE SAD SONGS 07. GIRL AT THE WINDOW 08. BIG CHIEF WOOLLY BOSHER 09. SOMEONE KNOCKING 10. BETTER LIFE (THE WEATHER MAN KNOWS) 11. HURRY UP JOHN 12. SKELETON AND THE ROUNDABOUT 13. HAPPY BIRTHDAY 14. BIRTHDAY 15. I LIKE MY TOYS 16. MORNING SUNSHINE 17. FOLLOW ME FOLLOW 18. SITING IN MY TREE 19. ON WITH THE SHOW 20. LUCKY MAN 21. DON'T PUT YOUR BOYS IN THE ARMY, MRS. WARD 22. PIE IN THE SKY 23. LADY WHO SAID SHE COULD FLY 24. END OF THE ROAD 25. YOU CAN DANCE THE ROCK 'N' ROLL 26. MEET ME AT THE JAILHOUSE 27. JOLLY CUP OF TEA 28. BUFFALO STATION - GET ON DOWN TO MEMPHIS 29. GOTTA CRUSH (ABOUT YOU) 30. 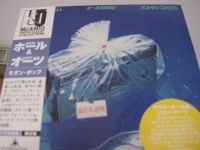 WEAR A FAST GUN These are Japanese digitally re-mastered Mini LP replica CDs (the OBI Edition). This Limited Edition Collection has only VERY FEW made world-wide and are immediately Out of Print. Recorded from the finest Original Masters available. Comes with anti-static sleeves similar to Vinyl LPs, Cardboard packaging like an LP, includes extensive Liner Notes Booklet. Actual miniaturized version of the 12inch LP in 4inch CD version. 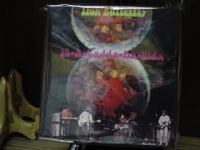 "Iron Butterfly, Heavy - Mini LP Replica In a CD - Japanese"
"Iron Butterfly, In A Gadda Da Vida - Mini LP Replica In A CD - Japanese"
"Iron Butterly, In-A-Gadda-Vida OBI Box Set - 5 CDs"
IRON BUTTERFLY - IN A GADDA VIDA - Japanese OBI MINI REPLICA LP TITLES making a 5 CD Box Set- Japanese OBI MINI REPLICA BOX SET Japanese re-mastered Mini LP replica Limited Edition Collection Recorded from the finest Original Masters available. Each title Comes with anti-static sleeves similar to Vinyl LPs, Cardboard packaging exact to the original LP, Re-sealable plastic wrap cases for protection of each collectible and include extensive Liner Notes Booklet. Actual miniaturized version of the 12" LP in 4" CD version Special VERY RARE LIMITED EDITION BOX SET ONLY PRODUCED ON FUTURES FOR THIS ONE TIME PRESSING -- were only available in Japan. REPLICA LP IN A CD BOX SET INCLUDES - METAMORPHOSIS - TRACK LISTING - 1. FREE FLIGHT 2. NEW DAY 3. SHADY LADY 4. BEST YEARS OF OUR LIFE 5. SLOWER THAN GUNS 6. STONE BELIEVER 7. SOLDIER IN OUR TOWN 8. EASY RIDER 9. BUTTERBLY BLEU BALL - TRACK LISTING - 1. IN THE TIMES OF OUR LIVES 2. SOUL EXPERIENCE 3. LONELY BOY 4. REAL FLIGHT 5. IN THE CROWDS 6. IT MUST BE LOVE 7. HER FAVORITE STYLE 8. FILED WITH FEAR 9. BELDS-BEAST 10. I CAN'T HELP BUT DECEIVE YOU, LITTLE GIRL 11. TO BE ALONE LIVE 1969 - TRACK LISTING - 1. IN THE TIME OF OUR LIVES 2. FILED WITH FEAR 3. SOUL EXPERIENCE 4. YOU CAN'T WIN 5. ARE YOU HAPPY 6. IN A GADDA VIDA HEAVY - TRACK LISTING 1.POSSESSION 2.UNCONSCIOUS POWER 3. GET OUT OF MY LIFE WOMAN 4. GENTLE AS IT MAY SEEM 5. YOU CAN'T WIN 6.SO-LO 7. LOOK FOR THE SUN 8. FIELDS OF SUN 9. STAMPED IDEAS 10. 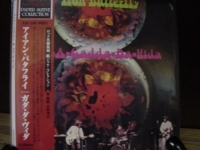 IRON BUTTERFLY THEME IN A GADDA VIDA - Track Listings 1. Most Anything You Want 2. Flowers and Beads 3. My Mirage 4. Termination 5. Are You Happy 6. In-A-Gadda-Da-Vida These are Japanese digitally re-mastered Mini LP replica CDs (the OBI Edition). This Limited Edition Collection has only VERY FEW made world-wide and are immediately Out of Print. Recorded from the finest Original Masters available. Comes with anti-static sleeves similar to Vinyl LPs, Cardboard packaging like an LP, includes extensive Liner Notes Booklet. Actual miniaturized version of the 12inch LP in 4inch CD version. "James Taylor, That's Why I'm Here OBI Box Set - 5 CDs"
JAMES TAYLOR - THAT'S WHY I'M HERE - Japanese OBI MINI REPLICA LP TITLES making a 5 CD Box Set- Japanese OBI MINI REPLICA BOX SET Japanese re-mastered Mini LP replica Limited Edition Collection Recorded from the finest Original Masters available. Each title Comes with anti-static sleeves similar to Vinyl LPs, Cardboard packaging exact to the original LP, Re-sealable plastic wrap cases for protection of each collectible and include extensive Liner Notes Booklet. Actual miniaturized version of the 12" LP in 4" CD version Special VERY RARE LIMITED EDITION BOX SET ONLY PRODUCED ON FUTURES FOR THIS ONE TIME PRESSING -- were only available in Japan. 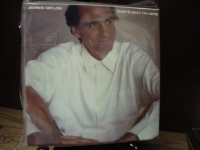 THE JAMES TAYLOR SET - THAT'S WHY I'M HERE INCLUDES JT - Track Listings 1. Your Smiling Face 2. There We Are 3. Honey Don't Leave L.A. 4. Another Grey Morning 5. Bartender's Blues 6. Secret O' Life 7. Handy Man 8. I Was Only Telling a Lie 9. Looking for Love on Broadway 10. Terra Nova 11. Traffic Jam 12. 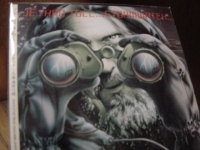 If I Keep My Heart Out of Sight FLAG - Track Listings 1. Company Man 2. Johnnie Comes Back 3. Day Tripper 4. I Will Not Lie for You 5. Brother Trucker 6. Is That the Way You Look? 7. B.S.U.R. (S.U.C.S.I.M.I.M.) 8. Rainy Day Man 9. Millworker 10. Up on the Roof 11. Chanson Francaise 12. Sleep Come Free Me DAD LOVES HIS WORK - Track Listings 1. Hard Times 2. Her Town Too 3. Hour That the Morning Comes 4. I Will Follow 5. Believe It or Not 6. Stand and Fight 7. Only for Me 8. Summer's Here 9. Sugar Trade 10. London Town 11. That Lonesome Road THAT'S WHY I'M HERE - Track Listings 1. That's Why I'm Here 2. Song for You Far Away 3. Only a Dream in Rio 4. Turn Away 5. Going Around One More Time 6. My Romance 7. Everyday 8. Limousine Driver 9. Only One 10. Mona 11. (The Man Who Shot) Liberty Valance 12. That's Why I'm Here (Reprise) NEVER DIE YOUNG - Track Listings 1. Never Die Young 2. T-Bone 3. Baby Boom Baby 4. Runaway Bride 5. Valentine's Day 6. Sun on the Moon 7. Sweet Potato Pie 8. Home by Another Way 9. Letter in the Mail 10. 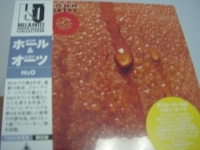 First of May These are Japanese digitally re-mastered Mini LP replica CDs (the OBI Edition). This Limited Edition Collection has only VERY FEW made world-wide and are immediately Out of Print. Recorded from the finest Original Masters available. Comes with anti-static sleeves similar to Vinyl LPs, Cardboard packaging like an LP, includes extensive Liner Notes Booklet. Actual miniaturized version of the 12inch LP in 4inch CD version. 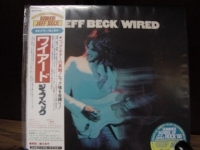 "Jeff Beck Tim Bogert & Carmine Appice - OBI Mini"
"Jeff Beck, Wired Mini LP Replica In A CD - Japanese"
"Jethro Tull, Stormwatch - OBI Replica LP In A CD"
"Jethro Tull, Aqualung - -Mini LP Replica in a CD - Japanese"
"Jethro Tull, Benefit - Mini LP Replica in a CD - Japanese - Last Copy"
"Jethro Tull, Bursting Out: Live"
Japanese Mini Sleeve CD. 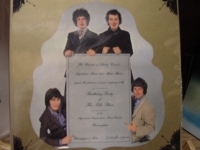 Tracks Include: "No Lullaby" "Sweet Dream" "Skating Away on the Thin Ice of the New Day" "Jack in the Green" "One Brown Mouse" "New Day Yesterday" "Flute Solo Improvisation/God" "Rest Ye Merry Gentleman/Bouree" "Songs from the Wood" "Thick as a Brick" "Hunting Girl" "Too Old to Rock 'N' Roll: Too Young to Die" "Conundrum" "Minstrel in the Gallery" "Cross-Eyed Mary" "Quatrain" "Aqualung" "Locomotive Breath" "Dambusters March"
"Jethro Tull, Living In The Past - Mini LP Replica In A CD - Japanese"
Artist: Jethro Tull Release Date: Mar 29, 2004 Format: CD Record Label: Emi UPC: 4988006818811 Genre: Rock Duration: Album or EP Sub-Genre: Progressive & Art Rock Special Attributes: Import, Remastered, Special Edition Track listing 1. Song For Jeffrey 2. Love Story 3. Christmas Song 4. Living in the Past 5. Driving Song 6. Bouree 7. Sweet Dream 8. Singing All Day 9. Witch's Promise 10. Teacher 11. Inside 12. Just Trying to Be 13. By Kind Permission Of 14. Dharma For One 15. Wond'ring Again 16. Locomotive Breath 17. Life Is a Long Song 18. Up the 'Pool' 19. Dr. Bogenbroom 20. For Later 21. Nursie Distributor: MSI Music Distribution Recording type: Mixed Recording mode: Stereo Digitally remastered edition of what is simply a magnificent work of art! Includes all the original graphics and photographs that fans were treated to in the original album release all house in a hard textured cardboard sleeve. Even the labels on the discs duplicate the original Chrysalis label! 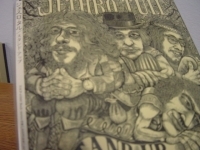 Jethro Tull: Ian Anderson (vocals, acoustic & 12-string guitars, mandolin, violin, balalaika, flute, whistle, Hammond organ); Martin Barre (acoustic & electric guitars, recorder, percussion, background vocals); Mick Abrahams (electric guitar); John Evan (piano, harpsichord, celeste, Hammond organ, Mellotron, percussion, background vocals); Jeffrey Hammond-Hammond (recorder, bass, background vocals); Glenn Cornick (Hammond organ, bass); Clive Bunker (glockenspiel, drums, percussion, background vocals); Barriemore Barlow (drums, percussion). Producers: Jethro Tull, Ian Anderson, Terry Ellis. Recorded between July 1968 and May 1971. 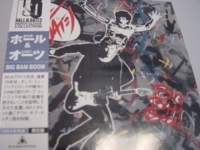 Japanese import edition preserves original album art and photographs. CD comes in Jpn LP Sleeve. 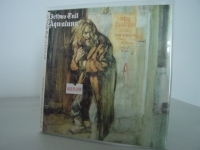 With hit albums like BENEFIT and AQUALUNG (as well as a spectacular live show), Jethro Tull became one of rock's most popular bands by the early '70s. While many were quick to categorize its music as prog-rock (a la Yes, Genesis, etc. 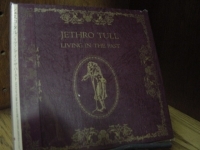 ), Tull also dabbled in folk, jazz, heavy metal, and blues. After the K161success of the band's previous two albums, Chrysalis Records issued the double album LIVING IN THE PAST, a mix of hits, important album tracks, single/EP-only material, and previously unreleased live tracks. 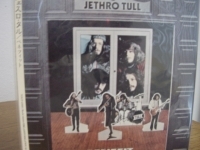 As longtime fans know, and as LIVING IN THE PAST makes clear, Jethro Tull produced a wealth of great songs outside of their hits. The best-known song in this collection is undoubtedly the title track, while "Song for Jeffrey," "Witches Promise," and "Hymn 43" also remain classic rock radio staples. There are also numerous lesser-known highlights, many of which were compiled from singles and EPs and are therefore otherwise difficult to obtain. LIVING IN THE PAST, then, is a treasure trove for Tull fans, and a fine place for the uninitiated to start exploring this ambitious band. 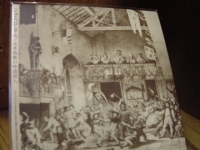 "Jethro Tull, Minstrel In The Gallery - CURRENTLY OUT OF STOCK"
"Jethro Tull, Songs From The Wood - Japanese Mini Sleeve - CURRENTLY SOLD OUT"
Japanese Mini Sleeve CD. 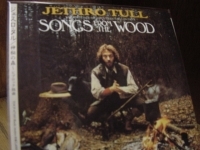 Tracks Include:"Songs From the Wood" "Jack-in-the-Green" "Cup of Wonder" "Hunting Girl" "Ring Out, Solstice Bells" "Velvet Green" "Whistler" "Pibroch (Cap in Hand)" "Fire at Midnight"
"Jethro Tull, Stand Up - Mini LP Replica In A CD - Japanese"